Below is an interview we did with a successful customer of ours after they sold their house using our flat fee MLS listing service. We asked them to post a review online and they offered to give this testimonial because they were so happy with their results. The results of these successful flat fee MLS home sellers are very real and they are also extremely satisfied previous customers! Warning: These Results Are TYPICAL! ISoldMyHouse.com: Thanks for agreeing to be interviewed as your review of using our flat fee MLS listing service. To start, why did you decide to sell your house? James & Mary: We didn’t necessarily want to move but James received a promotion at work but it required him to move to another location that was out of state. We loved our house but we could have used some more space anyway, so in the end it was for the best. We just didn’t want to go through the hassle of selling. ISoldMyHouse.com: That makes sense, they say moving is one of the most stressful life events. How and why did you guys decide to sell “FSBO” with flat fee MLS? 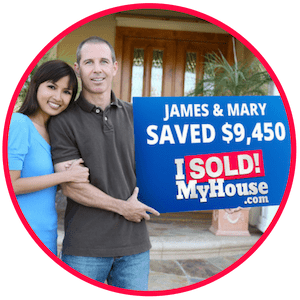 James & Mary: Mary had the idea to sell FSBO to save some money and she started doing some research online and came across a lot of disadvantages about selling a house by owner but they were all written by real estate agents or companies that support real estate agents. Once she looked into it more, she realized that these agents don’t like showing FSBOs because they don’t get paid at all. Thats when she came across the concept of flat fee MLS and the benefit of saving the listing agent commission but still offering a buyers agent commission. It seemed like a perfect compromise and we thought it would work well for us. ISoldMyHouse.com: It is the perfect compromise, as long as you offer a standard buyers agent commission. Did either of you have any prior experience selling a house? James & Mary: We had a small condo that we owned when we first were married and we listed it with a Realtor about 7 years ago, we sold it and thought the process overall wasn’t terribly complex. Mary actually thought about getting her real estate license but never did, so I guess she always had an interest in the business. But neither of us had ever sold a house ourselves before. ISoldMyHouse.com: We agree, the process isn’t that bad, if you do the correct steps in the correct order. So now that you decided to try and sell yourselves and you thought flat fee MLS was the right approach, how did you decide which flat fee MLS company to work with? James & Mary: Well, we are big on researching our options to make sure we don’t rush into something and end up with regrets. James was busy with work, so I went online and started searching around and reading all I could. Thats is how I came across ISoldMyHouse.com. I don’t remember what was the first piece of content I read on your website but I kept reading more and more because it was so helpful, I still can’t believe how much information is on your website. I then started reading reviews and what would be considered the “fine print” of both ISoldMyHouse.com and your competition. There are companies that offer a lower price online but they have a lot of additional costs or they have bad reviews and probably most importantly, their websites are not helpful at all so we knew they just wanted to take our money. We realized that ISoldMyHouse.com was a reliable and established business that just wanted to help their customers sell their home. So that’s why we decided to work with you. ISoldMyHouse.com: Thanks for choosing us and for all the kind words! How did you get prepared to sell your house with a flat fee MLS listing? James & Mary: Well, as you might already be able to tell, Mary does all the research. She followed the advice on your website and staged the house to sell by doing all the standard best practices and then we hired a professional photographer to come out and take photos of the house. We can’t stress enough how doing those two items really was worth the effort and spending a couple hundred extra dollars. Mary also keeps an eye on the market and she knew that we needed to price our house appropriately. We had a few neighbors try to sell unsuccessfully by asking for too much money. They had told us before they moved, that as soon as they listed again with a correct price, they sold in a few weeks. So Mary came up with what she thought was an appropriate listing price, but I was greedy and wanted more money and said lets increase the asking price by $10,000. She hesitantly agreed but said lets see how it works and adjust our price quickly if we don’t sell. ISoldMyHouse.com: Sounds like you guys did the correct preparation steps and had a plan. Once your house was on the market, how did the selling process work for you? James & Mary: Once our flat fee MLS listing went live, we had 3 showings the first week, which we thought was just ok. The agents contacted us and setup a time to show the house, most showings were in the afternoon or early evening. We didn’t want to be home during the showings so we had a lockbox on the door so they could let themselves in. I recommend, having the agent text you a copy of their business card so you can verify who they are before giving them the combo to your house. After the showings, I called the agents to see what their buyers thought. Two of them said they liked our house but they were still looking, the other agent, I couldn’t get ahold of. After that first week, there was not any more showings scheduled and we didn’t receive any more inquires. So… we decided to drop our price to what Mary had originally came up with! That did it, once we had the correct price, we had 4 more showings over the next few days and 2 offers to choose from! One offer was from a buyer that was working with an agent and the other was from a buyer who wasn’t working with anyone. 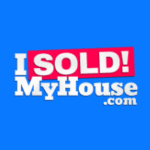 ISoldMyHouse.com: Great job on taking corrective actions quickly and getting those buyers interested in your house. How did you choose which offer to accept? James & Mary: Well, we really wanted to take the offer from the buyer who was working on their own. Obviously, we would have saved a lot more money by not having to pay the buyers agents commission. But their offer wasn’t as strong and after consulting with our attorney on the offers, she advised us to take the offer from the buyer working with an agent. Our attorney said there was a greater chance of the deal falling apart if we choose the other offer because they were not putting much money down, they had a strange looking pre-approval letter and they wanted too much time for the inspection and mortgage contingencies. Overall, the buyer we worked with was very strong and presented their offer well. The agent they were working with was very professional and she represented her clients well and made the process smooth. So in the end we didn’t mind paying her commission at all. ISoldMyHouse.com: Wow! That’s really a good thought process that seemed to work for you. How did the closing of your house go? James & Mary: Very smooth, thanks to our attorney who handled all the work that goes on behind the scenes. The buyers did ask for a few items to be fixed before closing but we would have wanted the same repairs done if we were buying the home. We didn’t even have to attend the closing, we met our attorney the day before and signed all the paperwork. She called us after the closing was completed and told us it was a done deal. ISoldMyHouse.com: Shows the value of working with a good real estate attorney. So perhaps the most important question, how much money did you save in the end and was it worth the extra work of selling with a flat fee MLS listing? James & Mary: It definitely was worth it, dealing with hassle of selling without a listing agent was not bad at all. I’m not saying that selling by owner would be for everyone but if you are a savvy person who wants to save a good amount of money, then go for it. We ended up selling our house for $378,000, which means with the 2.5% we would have paid for a listing agents commission, we saved a total of $9,450! I highly recommend selling a house with flat fee MLS and will never do it any other way. At ISoldMyHouse.com, we want you to sell your house, save lots of money and tell everyone how happy you are with our service. When you decide to work with us, the last thing we want is for you to be unhappy. Instead, it is our commitment to you to turn you into a raving fan! We do this by making sure you get access to the correct online listing tools that will actually help you sell your house. Also, if you navigate around our website, you will find lots of FREE information we put together to help you sell. In addition, if you find yourself in a jam and need some help. Send us an email or contact us on our website and we will try our best to help you as quickly as possible! I used Get Listed in order to sell my home myself. The process was very easy and my home was instantly viewable across all of the industry sites via MLS. This visibility ultimately helped me gain exposure and find a buyer for my home. The listing process was user friendly, and when I needed help, Kris was very responsive to email, and took care of my needs in a very timely fashion. I have already recommended the service to several people. I have told people that Get Listed is to real estate what Uber is to taxi service...just a better way to do it. I did a lot of research before choosing a flat fee mls listing company and decided on Get LISTED Realty. Kris and his team was amazing to work with, very professional. I'm telling everyone I know about them! Using Get Listed Realty was an excellent experience! Easy, inexpensive and the staff were always attentive and helpful.We saved $9,750 in commission using this service. Our only costs to list were for this service and to hire a qualified appraiser, which I definitely recommend. We chose to take our own pictures, but you can hire a professional photographer through this service if you want. Although we chose to be present for every showing, you can also pay for a lockbox so that buyers' agents can show your house. Don't use a conventional real estate agent to sell. This is a no brainer. Thank you Get Listed Realty! You helped me save $11,000 with your flat fee MLS listings. I followed all of your guides and videos and the process was so simple. I'm telling everyone I know to use your service from now on! Kris was responsive, timely and saved us tens of thousands on our home sale. I highly recommend. We had an excellent experience using Get Listed Realty as our online MLS service. The entire process was smooth and without issue. We had great success in getting traffic from realtors- 9 showings the first week, and we got an offer that we accepted on day 6. Closed 6 weeks later without a hitch. Kris was great to work with, and always responded quickly when we had questions. We saved about 10K on realtor fees by listing ourselves and not using a traditional realtor. I would recommend this service to anyone who has a home to sell and is considering going the FSBO route. Kris Lippi and Get LISTED Realty saved my family $17,700!!! Kris was committed to helping me from the first moments I signed up for his flat fee MLS listing. The website covered every step of the selling process and Kris answered every question I had in record time. I never had to wait more than hour for a helpful answer. This is an amazing service. If you are committed to selling your house and want to maximize earnings, Get Listed Realty is the way to go!!! After doing a lot of research on flat fee listing providers, I decided to go with Get LISTED Realty. After being through the process and selling my property I'm happily noting that I made the right choice with Kris Lippi’s company. I saved over $3,000 with his service.The service, attention and responsiveness has been above and beyond. Chris was available when I had a question. He also assured me that there won’t be any other charges and there wasn’t. I will definitely use his service again when I sell a property. Kris provides great service and support. Everything you need is on the website. I was able to sell my house quickly because of MLS and various realty website exposure. I will recommend that everyone utilize Get LISTED Realty if you are completely comfortable selling your place on your own. I will definitely utilize their service again!! Couldnt have worked out better using getlistedrealty, I got great esposureand received 3 offers over listing price! I am very satisfied with the service from Get Listed Realty. They answered all my questions before listing our condo on the MLS. Everything was done online after that and it was painless. Sold our condo in 2 weeks! Thank You! I've used flat-fee MLS services a couple times in the past, sometimes for FSBO and other for posting rentals. I used Get LISTED recently for posting a rental and it was so smooth. Really happy with my experience. I was on MLS very quickly and had lots of showings, and most importantly- we closed the deal. Thanks! Highly recommend Get Listed Realty to sell a house on the MLS without a real estate agent. They were very easy to work with and everything worked exactly as they promised on their website. I decided to do "For sale by owner" and use Kris's get listed realty flat MLS listings service after searching about 5 days across about 50 different sites. I really liked Kris's website portal and how he gets back within 24 hours!!! Kris has been nothing but very responsive and helpful. I am so glad I found his website and listed using his web get listed realty. If he is this helpful for someone who just flat fee mls listed, I wonder how helpful he would be as a seller or buyer's agent! I HIGHLY RECOMMEND HIM. Period. Sold my house on the MLS with Get Listed Realty. Got some great tips on the website and it works as advertised. Very fast and friendly customer support. We sold our longtime home with Get Listed Realty and had a very pleasant experience. They were able to get us on the MLS and we were still able to sell our house as a FSBO. Saved us from paying a high commission! Great communication and online process! Working with Get LISTED Realty was a great choice. Their customer service was outstanding. They were very honest and knowledgeable. They helped us through the sale of our home and I saved over $15,000. I highly recommend them to anyone looking to sell their house. Hands down best for sale by owner MLS service. Sold our condo in just over 1 week on the Long Island MLS. Great customer service from the team too! I can't say enough good things about this flat fee mls company. I sold my house with multiple offers 2 days after listing with them. Great customer service, easy to use website with helpful videos and the service works as advertised. I saved 11 thousand dollars by using Get Listed Realty! Using the Get Listed Realty website has been an amazingly easy and rewarding experience. The information provided is very detailed and the videos make all the steps in selling a home yourself easy to understand.Kris Lippi is always available to answer questions or assist in guiding you in the process of selling a home on your own.Using the Get Listed Realty services is an excellent value, and we were able to get a purchase contract in just 4 days. Kris was exceptional to work with, very responsive and helpful from start to finish. We sold our home in a matter of days. I highly recommend.